Cigarettes chronicles the controversies of a 350 billion dollar industry, telling the fast-paced business story of cigarettes—from seed to smoke—that surprises as it entertains. 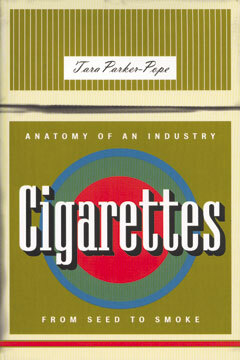 In a book Publishers Weekly calls “an absorbing and informative history of cigarettes,” Parker-Pope provides “up-to-date coverage of the recent tobacco industry litigation [that] is not only concise and accessible, but illuminating.” The author, who follows the tobacco industry for the Wall Street Journal, offers a unique spin on a much-covered topic, examining the commercial aspect of an industry that became the biggest business success story of the twentieth century. Tara Parker-Pope is an author and a columnist for the New York Times. Previously, she wrote for the Wall Street Journal, the Houston Chronicle, and the Austin American-Statesman.